Yoga Educator, mentor, retreat facilitator and humble student. 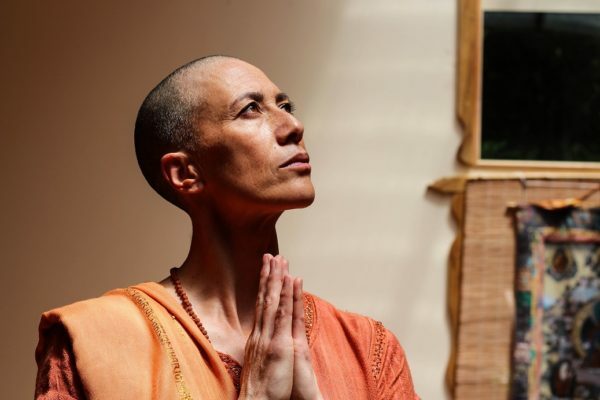 Sannyasi Pragyadhara is a yoga practitioner who has steeped herself in the rigorous and traditional yogic training of the ancient Gurukul system. Application and expression of this embodied wisdom in various settings include both academic settings and the wider community. Development and implementation of yoga curriculum, mentoring faculty and teacher trainees and delivering specialty workshops and yoga intensives on various topics. As the Lead Teacher she guides you through the training, holds the space for the group and oversees your education. The 200 hour qualification is foundational and prepares you to extend further into self practice and gain the confidence and skills to hold a safe and grounded space for others. Yoga is a life -long journey of Self mastery and requires us to continually observe, to ‘see’ ourselves clearly and be willing to do the work to continually improve.